It's easy to stroll by a random door, building or alleyway in our town and quickly disregard it based on appearances. 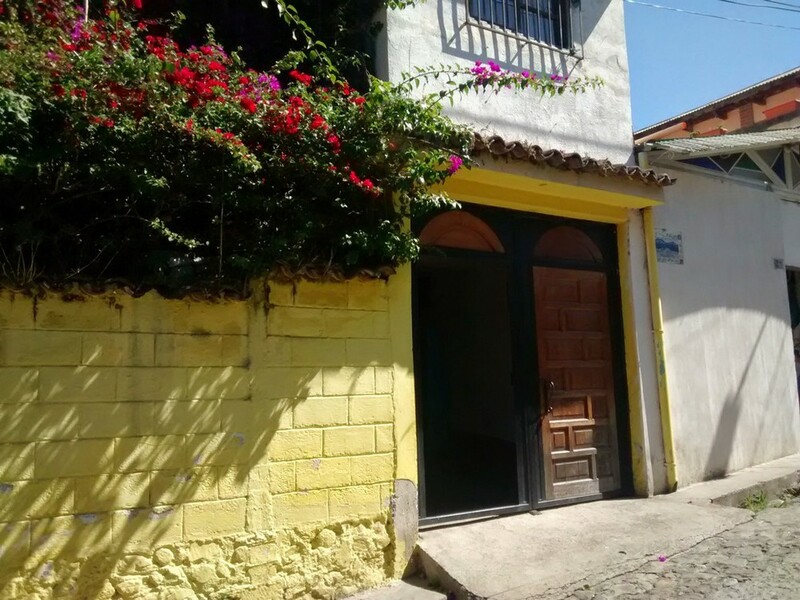 By US standards many might appear dumpy, dirty or sketch but in Guatemala you need to change those perceptions or you'll miss out on a lot this great country has to offer. Here are a few places we've visited, and in some cases quite frequently, that you might not normally give a second look...but should. Behind this unmarked, nondescript door is a fantastic children's doctor. Based on advice from a local I took Elle here when she had an infection. The waiting room (which was originally a living room for a house) was packed with local Mayans and their kids. We waited about 20 minutes to get time with the doctor. He spoke no English but provided great care. We left with a prescription which cleared up the inspection. Cost for exam and office visit...$5 US. 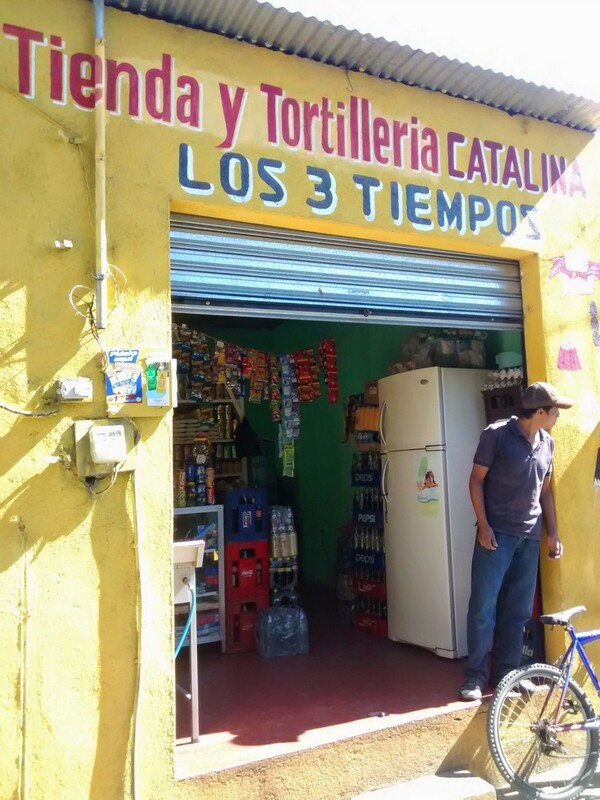 The sign above the store advertises fresh tortillas "3 times a day" but there's more. Pay the guy with the baseball cap 1Q (12 cents US) and he'll open up that freezer, pull out a frozen banana, walk to the other side of the store where he has a pot of melted chocolate sitting on a burner, and coat the banana in chocolate. This is one of Tag's favorite snacks and he will even order it himself. 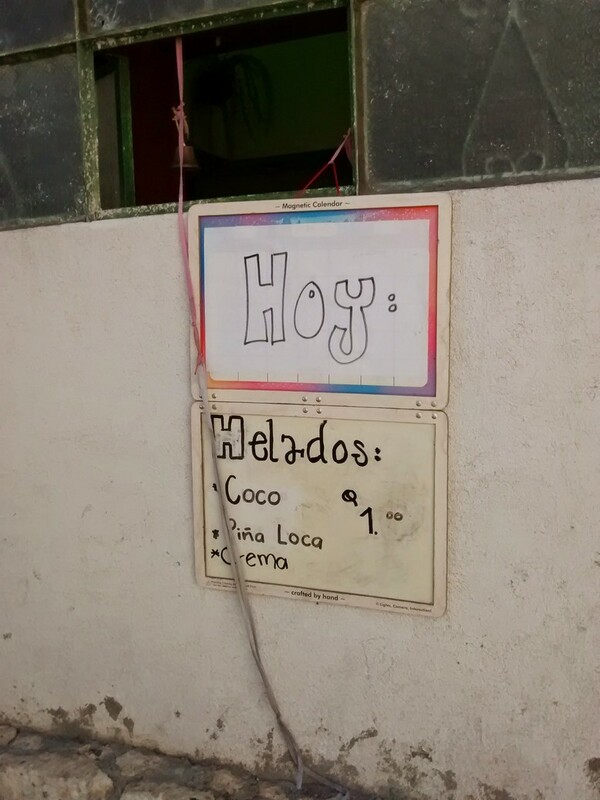 "Choco Banano por favor!" That's my car parked inside my mechanic's garage. You are looking at his entire shop. It's basically a car port with a sign advertising car alarm installations. His name is Walter. He has a lovely wife and six month old daughter...and he knows cars. A local friend recommended him. Walter provided a full service tune up and new brake pads at a price that would make US heads spin. This is the building where we get our drinking water from. Actually we get it delivered but that's another story. The water in Guatemala is not safe to drink but these guys have a very good purification system and it works great. This alley is narrow, has an uneven dirt floor, barbwire along parts of the side, smells like dog poop, is quite long with no other real entry and exit points so one might conclude it is not safe. Think again. This alley (called a callejon in Spanish) leads to the back entrance of the kid's school. During the weekday it is filled with kids and quite safe, sans the barbwire. I've never seen a gringo go in this unmarked shack but I've seen gringos very pleased with the byproduct. Locals bring corn to this building where it is ground up in a machine that makes masa (the dough like mixture needed for corn tortillas). A small tug on this cord made of shoelaces will result in someone peeking their head out the window to take your order for homemade ice cream. On the day I snapped this picture they had three flavors, Coconut, Crazy Pineapple and Cream. For 1Q (12 cents US) you get a frozen flavored piece of ice in a bag the size of a baseball. Elle and her friend often buy cream ones on their way home from school. This place does not look sketch, it's a nice place, but the sign can throw you for a loop. 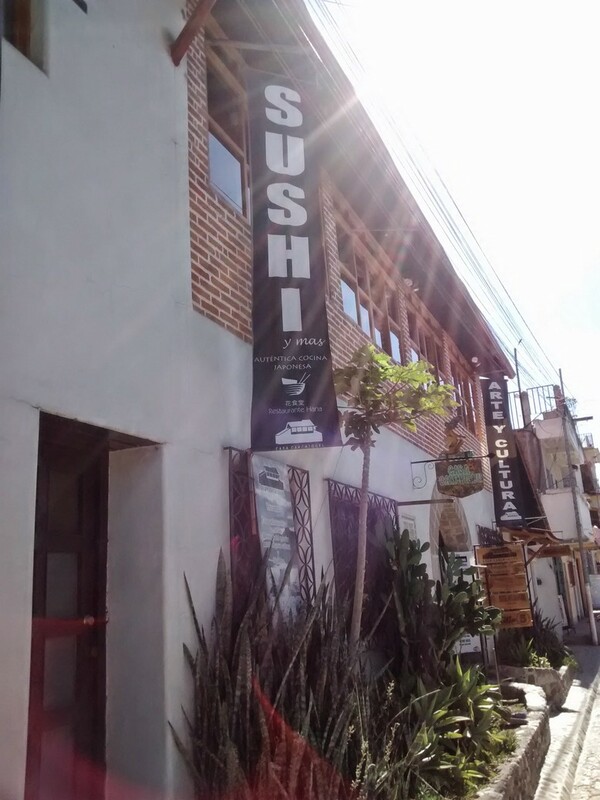 Sushi, in Guatemala? How good could sushi be in a remote area of a 3rd world country? The answer is, pretty awesome! We're only 2.5 hours from the Pacific Ocean so the fish is always fresh and one of the owners is a chef from Japan. Check out their reviews here. The point behind all of this is we've learned (and are still learning) not to draw conclusions by what we see, rather by what we learn. The most awesome part about this is that our kids are also learning (or unlearning) this with us. Next up...I need to find us a dentist to get our teeth cleaned.